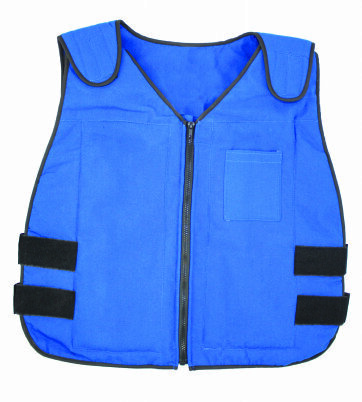 Polar's Fire-Resistant Cooling Vests are Class 1 NFPA 70E rated. What is the different between Banoxand Nomex? Banox is flame retardant treated cotton. The treatment is good for 20-25 washings and then the resistance to fire is significantly diminished. This fabric is heavier than Nomex and is more durable than Nomex. Nomex is a fabric that is treated by a single step flame retarding process that will last the life of the garment and does not reduce the wear life of the fabric. 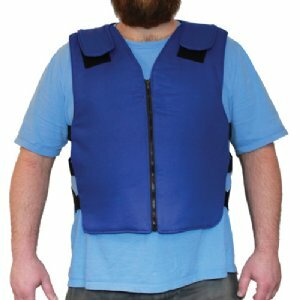 The Nomex is roughly 60% of the weight of the Banox and is a bit less durable fabric. 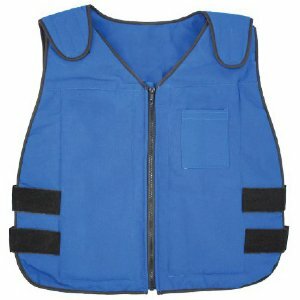 Please note: while these fabrics are class 1 NFPA 70E rated, there is exposure to potential arc flash and the user should not depend on a cooling vest for protection. Kool Max® Frozen Water-Based Cooling Packs require access to a freezer and offer the highest level of cooling energy for up to 3-4 hours. Cool 58® Phase Change Cooling Packs freeze at 58ÂºF (14.4Â° C) and provide a comfortable, constant cooling temperature of 58ÂºF for up to 1.5-3 hours. Ideal choice when freezers are not available! 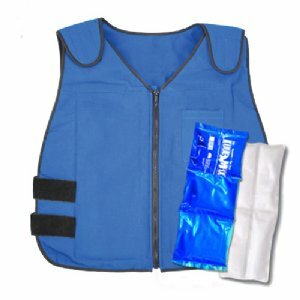 You have the option to add an extra set of cooling packs with your vest. You may want to order both types of packs for flexibility on-the-go!